This post is sponsored by Mrs. T’s Pierogies, recipe creation and all opinions are 100% our own! 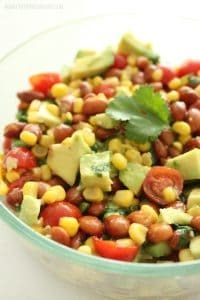 You guys KNOW by now that I am all about those easy recipes! We consider ourselves foodies over here, so there can definitely be no sacrifices made when it comes to taste, though. 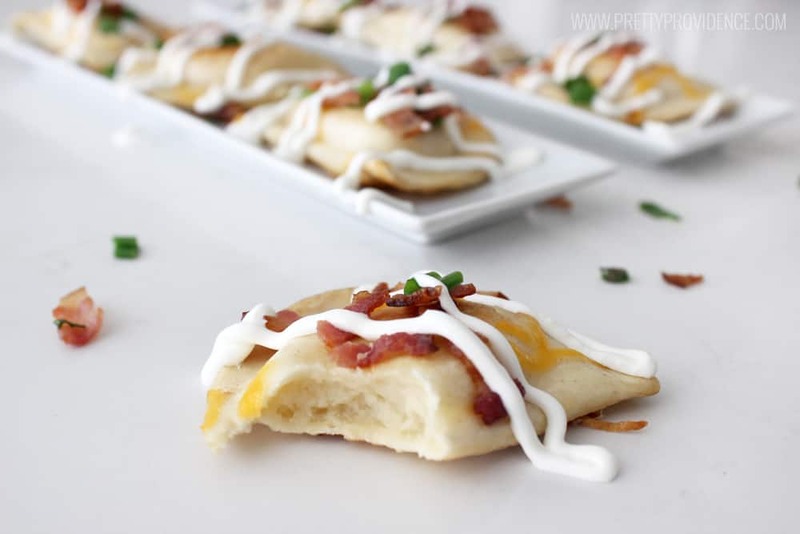 I love taking our favorite store bought foods and finding quick and easy ways to take them to the next level, and this super easy pierogy appetizer recipe is one of those gems! 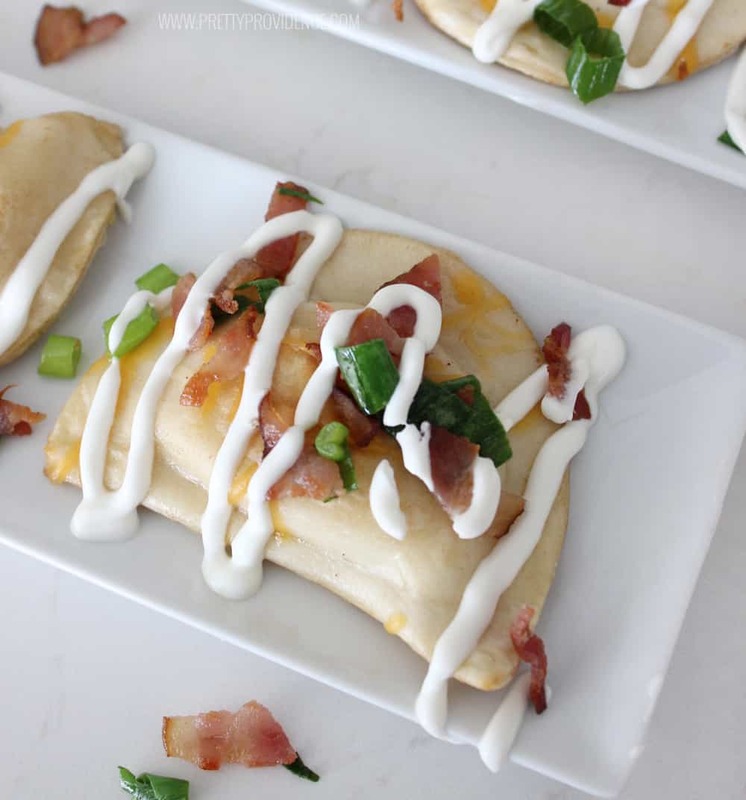 We love Pierogies around here, but as a crazy busy mom of four lets be honest, I am never gonna have the time to make them from scratch! Thankfully, we found Mrs. T’s Pierogies awhile ago and they are delicious on their own (there are over 15 different varieties to choose from, as well as adorable mini pierogies!) or jazzed up a bit for a special occasion like I did with this easy appetizer! Since we have a brand new little one (one week old today, you guys!) we aren’t going to be going out a ton for the next little bit, so one of our favorite things to do is make some yummy food and cuddle up together to watch a big game or our favorite tv series (This is Us or The Blacklist, anyone?) and have a sort of date night from home! I made this recipe on Saturday for a game my husband was anticipating and suffice it to say, they were a HUGE hit! Next time I will need to double the recipe, haha. 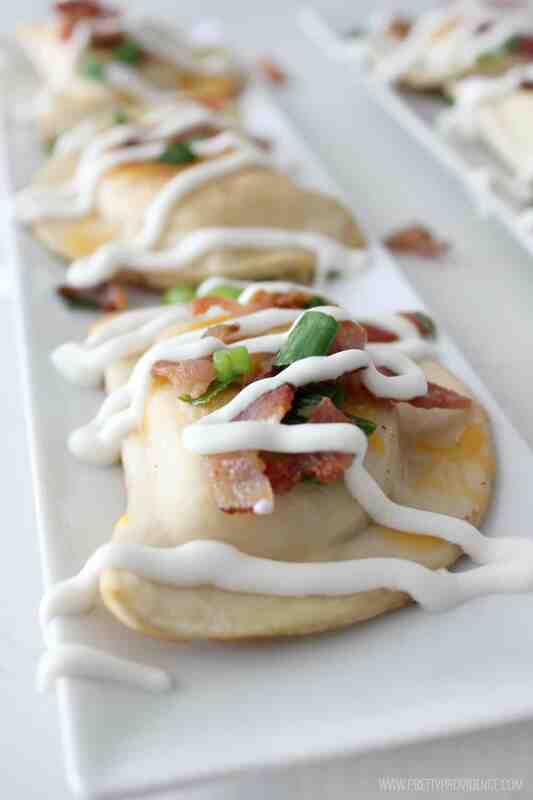 National Pierogy Day is coming up on October 8th, so I think I will have another reason to bust these out soon! You ready for the super easy how to? 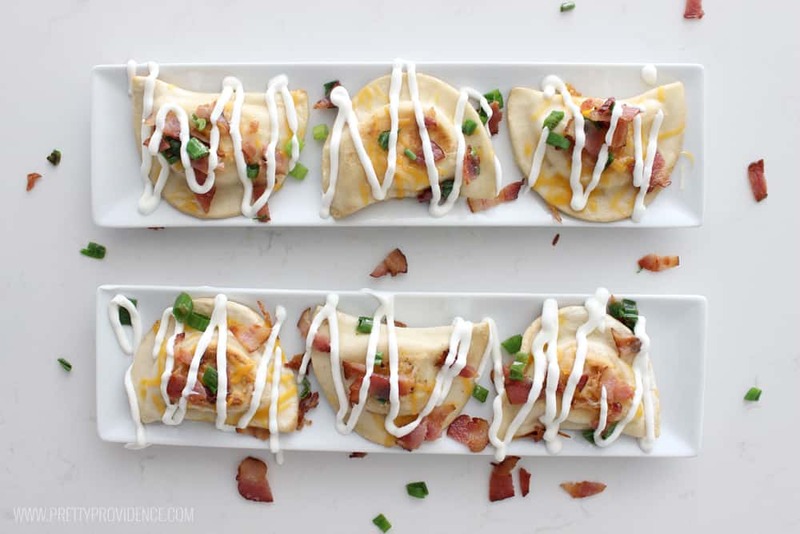 This easy Pierogy appetizer is perfect for watching the big game or cuddling up with your favorite TV series! All the flavors of your favorite stuffed baked potato, in bite sized perfection! Cook your Mrs. T's Pierogies according to package directions. When Pierogies are almost done, sprinkle cheddar cheese on top to melt, and then slide onto a plate or platter. While Pierogies are cooking chop your bacon and green onions into little pieces. 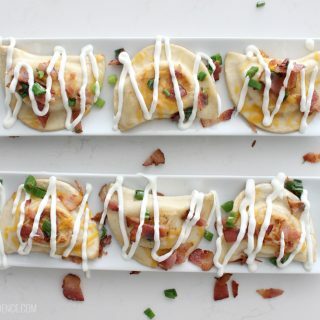 After plating your Pierogies, add your bacon and green onions into your frying pan and sauté together for a few minutes just until bacon is cooked and onions have softened. 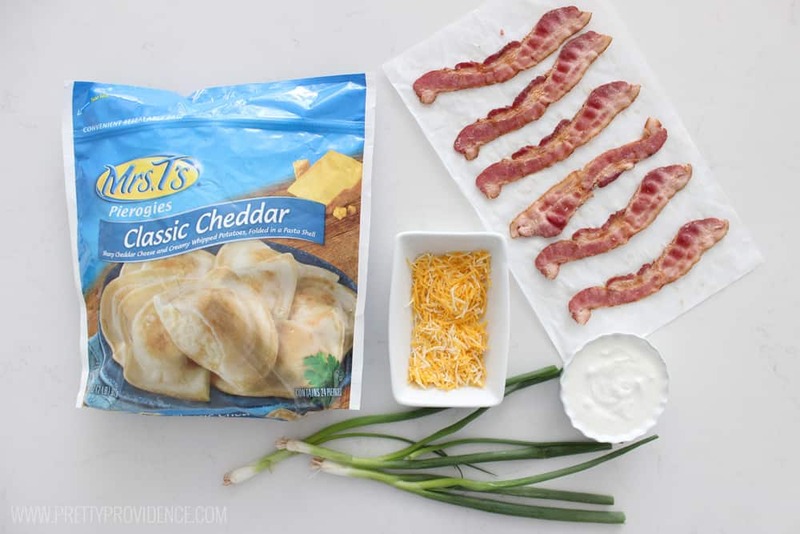 Sprinkle bacon and onions over pierogies and garnish with sour cream, if desired. So easy right?! 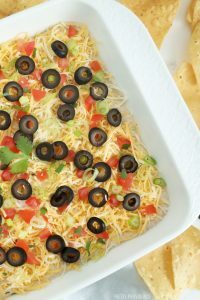 They have all the goodness of your favorite loaded baked potato in easy to manage bite size pockets! 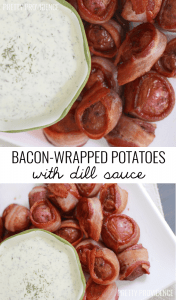 If you like this recipe, be sure to follow Mrs. T’s Pierogies on Facebook, Twitter, and Instagram for more yummy recipe inspiration!